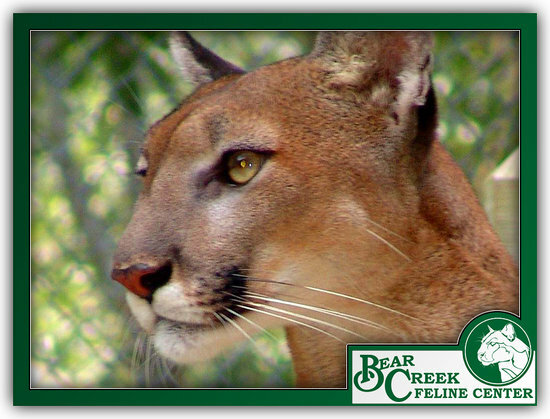 “Marilyn”, a high percentage cougar is boarded at Bear Creek through one of our volunteers. She was rescued from an overpopulated cat “zoo” that folded. 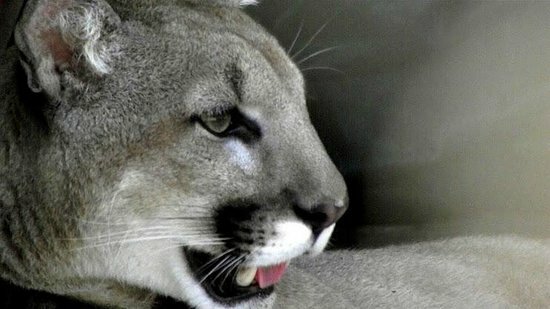 She enjoys living near other similar species in the Florida Panther compound. “Thatcher”, was obtained to become Dani’s mate, but quite frankly, she scared him! He has the scars to prove it! He removed himself from the breeding pool to pursue less stressful activities. He is very laid back and can usually be seen on top of his hut waiting to be admired and given a scratch or two. “Saint”, began his work in television and print. A much sought after and highly skilled model, he was trained by the organization that trains cats for Jim Fowler and other celebrities. 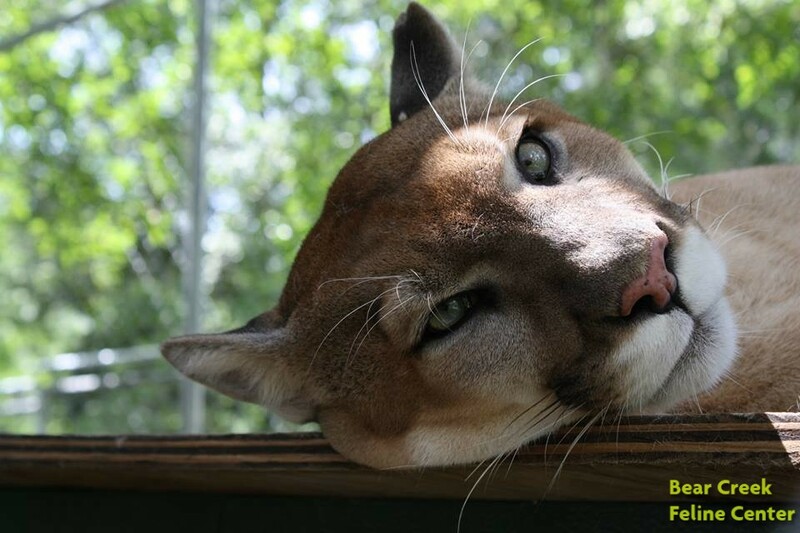 After a rewarding career, he retired from the stress and travel associated with being an ambassador for the Florida Panther species. He enjoys life at Bear Creek with his mate, “Dani”.